Sydney in January is fantastic. For a start, most of the people who live here bugger off on holidays. Apart from the one million people who converge on the harbour for the new year fireworks, you practically have the joint to yourself. It’s a month of beach and barbecues. Even if you’re not so inclined, the humidity demands that you slow down. And take regular liquid refreshment. The art scene is in its element as the Sydney Festival finds its groove. Work, when you eventually return to it, is a walk in the park. For a little while anyway. But the best thing is the sport. The Sydney Cricket Ground hosts the last of the season’s Test matches as the tennis stars arrive to work off their Christmas podge in the lead-up to the Australian Open. This year, we have the added bonus of hosting the Asian Cup. Basically the World Cup, without the really good teams. In a nutshell, it’s a month where there’s more sport than you can poke a stick at and you don’t have to get up in the middle of the night to watch it. So you’d think a sports nut like me would be parked in front of the telly right now. Usually that’d be a fair assumption. But this weekend, there was something far more important going on. This weekend the Posse was in town. The Posse is a small collection of girlfriends I inherited when I met one of its founding members in drama classes in 2000. They’re all high achievers in their professional fields. And they all have a strong sense of the ridiculous. Through life’s ups and downs, we’ve bonded over a shared love of fancy dress, cheesy 80s music (like there’s any other kind) and fine dining. Told you we did fancy dress. En masse, we’re a force to be reckoned with. We could party for Australia. 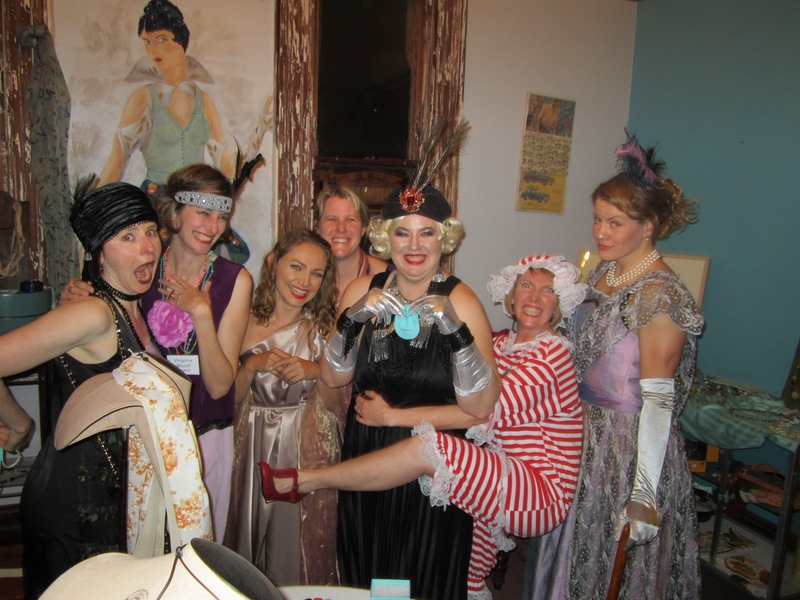 A recent 40th birthday involved 1920s fancy dress, an Agatha Christie murder mystery and a karaoke session complete with an interpretative dance to Roxette’s It Must Have Been Love. Back in 2000, we all lived in Sydney. Now, I’m the only one holding the fort. But we fly-in, fly-out with a military precision worthy of a Pentagon training manual. If there’s a wedding, farewell or milestone birthday, we’re there. 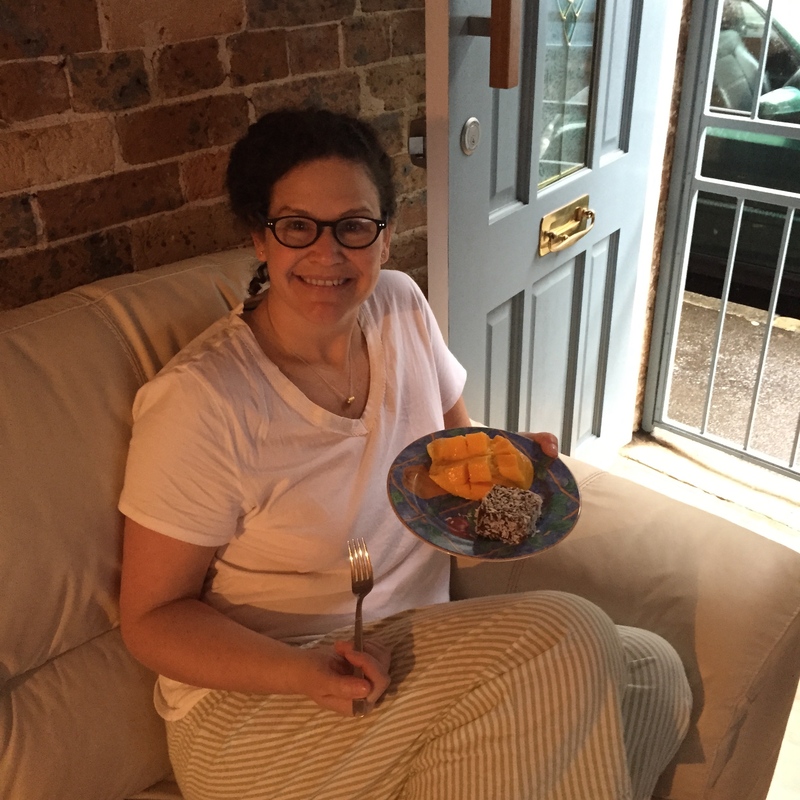 Yes, that is a breakfast of mango and lamington. This weekend was particularly significant. One of our number was returning to Australia for the first time in five years. We pulled out all stops. So, as the Indian cricket team fought to deny the Aussies another Test win, we were tucking into champagne and sundry deliciousness at Bondi Icebergs. As Steve Smith was accepting his man of the series award, we were chucking ourselves in the Pacific Ocean. As Maria Sharapova was shrieking her way to a maiden Brisbane International trophy, we were dancing around my living room singing I Never Can Say Goodbye at the top of our lungs. 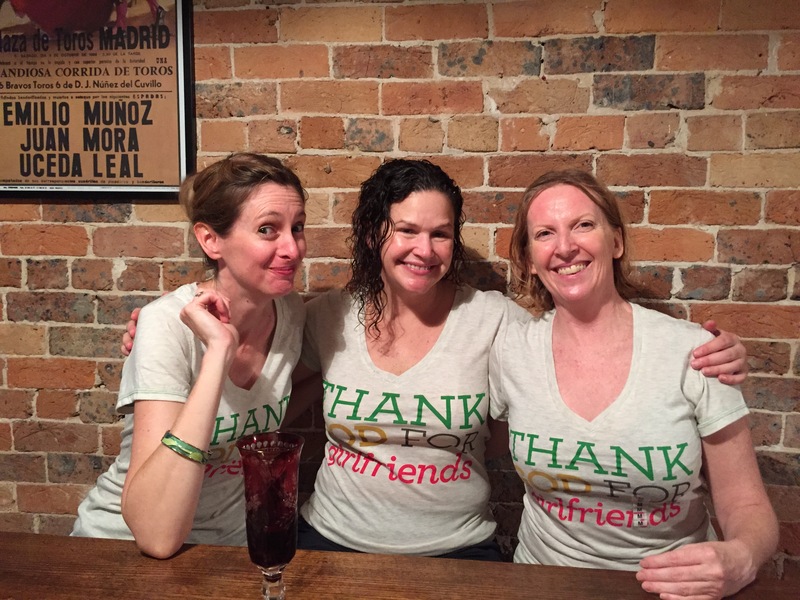 Last night, as Roger Federer racked up his 1000th career win, we were clinking glasses at a bar on the harbour. I saw not a nano second of sport the entire weekend. For as much as I love Roger Federer, Tim Cahill and Ryan Harris, there are limitations to our relationship. Beyond the fact that they don’t even know me. They don’t love me quirks and all. They haven’t celebrated with me in my finest hours or consoled me in my darkest. They won’t analyse the minutiae of a c onversation with me. I can’t speak to them in shorthand. They don’t give me arms-around cuddles. They won’t dance with me to cheesy 80s music (like there’s any other kind). I’m pretty sure they won’t go to a party dressed as a fembot. For that you need your girlfriends. And I thank God for each and every one of mine. Next Post What’s the hurry, sport? Nice segue between sport and mates…! Has been great seeing your Facebook frolics around the harbour over the weekend – happy daze. Plus, friends keep you sane! Thank you, mystery reader. Friends do indeed stop you going around the bend. Or at least they provide good company on the way! Beautifully said and so true, Kaz! Wish I had have been there with you all. Maybe next time I am back we can all catch up again. Thanks Tanya. It was an epic weekend!